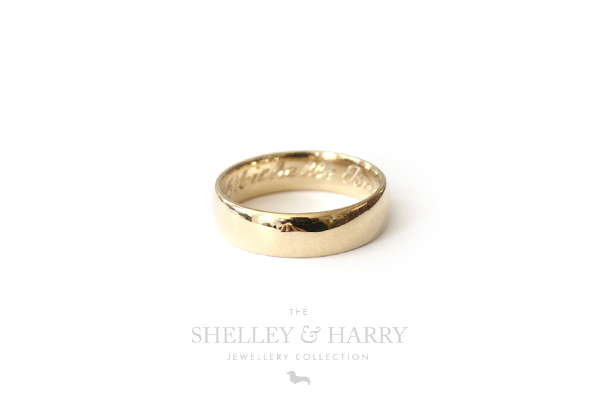 Shelley and Harry specializes in crafting bespoke men’s jewellery. For the guys we are available to craft statement pieces that reflect your masculinity and strength while still heroing the metals and stones of your choice. 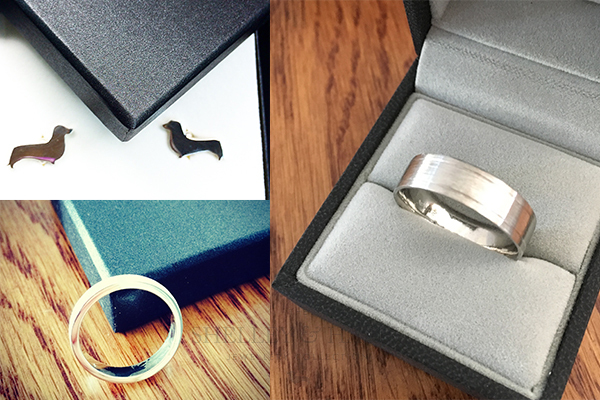 Whether you are looking for a men’s wedding band, cufflinks or a statement piece we are happy to custom make to your brief. Always a statement, cufflinks can be stylish and classic or really fun and quirky and are great way for a man to reflect his sense of style. One of our favourite pieces to work on are men’s wedding bands. We believe that wedding bands should be timeless, strong and durable, but as unique as each customer. The most common question I get asked with regards to men’s wedding bands is what metal should be chosen. This is an important question as it is a ring you will be wearing for a very long time. Top tip: When selecting a metal it is always important to choose one that suits your lifestyle and your budget. Below are some of your choices and a bit about them. Silver is a great inexpensive white metal and many men chose this, however the downfall to this metal is its lack of strength for daily wear and tear and so it will tarnish over time. Gold is very popular. You can choose 9ct,14ct or 18ct gold and white gold, yellow gold or rose gold (or of course a combination). A higher proportion of gold is used in 18ct and therefore it is more valuable/expensive. 18ct gold is technically harder than 9ct but the difference is so small that it won’t be noticed in your ring. A good handmade gold ring should always be hard enough to withstand daily activities. The king of metals, platinum is a very hard, heavy, white metal that is used almost in its pure form. Platinum is extremely long wearing and doesn’t need to be rhodium plated like white gold. It does however also come at a premium price so is not always suitable for everyone. This entry was posted in Blog, Uncategorized and tagged gold, handmande rings, jewellery tips, platinum, silver rings, wedding bands by shadmin. Bookmark the permalink.